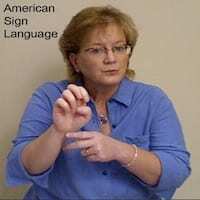 The research of this project documents and analyzes, for the first time, a large, socially organized and politically engaged network of DeafBlind language-users communicating via “protactile” American Sign Language (PT-ASL). The investigators are analyzing the differences in phonological representation in the productions across PT DeafBlind signers, non-PT DeafBlind signers and non-PT Deaf signers, in order to distinguish PT-ASL from on-the-fly compensation for sensory loss (i.e., being deaf-blind). Phonological distinctions are being modified from a largely visual to a more proprioceptive modality; therefore the emergence and development of PT-ASL offers a unique opportunity to understand how human language can be adapted to radically different conditions of transmission and interaction. Supported by NSF grant to Terra Edwards & Diane Brentari (Co-PIs) BCS-1651100. Typology analysis has been an important in predicting variation among spoken languages, and in this project the typology of handshape is investigated in signed languages. Handshape distinctions involving two types of iconicity: hand-as-object (object handshapes) and hand-as-hand (handling handshapes) are being analyzed in 5 sign languages to determine how they are distributed throughout the grammar—in nouns, verbs, and productive morphology. This will also shed light on the “nature” vs. “nurture” question by analyzing how these patterns emerge in homesigners and young sign language varieties. Gestural behaviors of the body and hands are used for prosodic purposes in both signed and spoken languages. In conducting this research we ask: Are there universal properties of gestural prosody used by both signed and spoken languages? 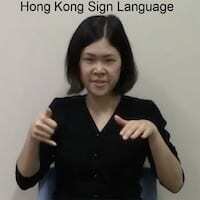 ; How are gestures used differently in the prosodic structure of spoken vs. signed languages? ; What types of “language contact” phenomena in signed and spoken language communities of a single country can be found in gestural prosody? 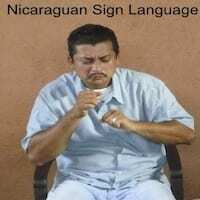 This work, as it pertains to the prosody of fingerspelling in ASL is supported by NSF IIS-1409886.